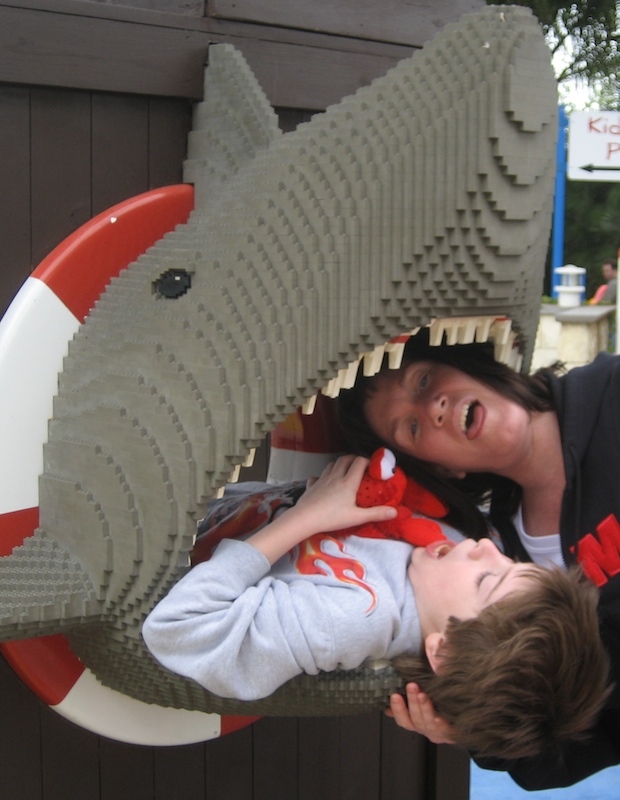 On our last day we went to Legoland in Carlsbad, near San Diego. I've never been so it was nice exploring new territory. Although I admit that it was most fun for me to see the kids enjoying themselves so much. This Lego tourist dude was right at the entrance. If it had been a little more feminine, it could have been me with all those cameras! Photo opportunities galore! This lego great white enjoys his Alaskan meal. 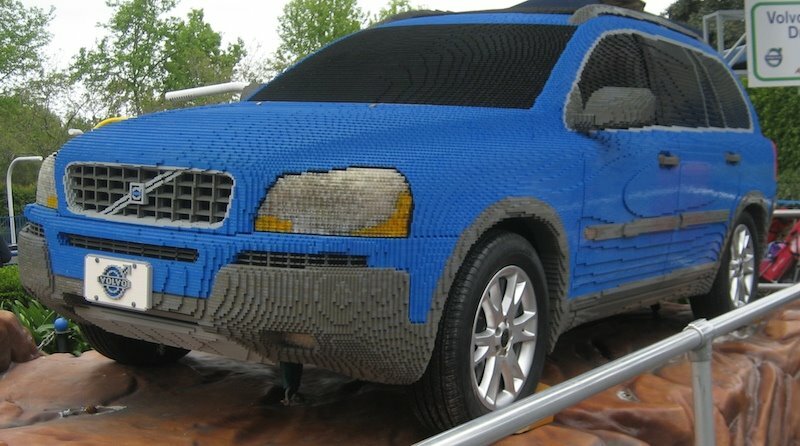 Lifesize Cross Country Volvo XC90 made out of legos. Very cool, especially since my better half drives a Volvo. And likes Legos. Early the next morning I dropped my friends off at the airport and as they flew back to the Great White North, I drove home. I was tired and eager to see Jimmy, but spending those days with my friends will be cherished forever. I love seeing your trip photos. Oh my i didn't even know it was in Calif. that is just amazing that they did a car, if ever i get a chance i am going to have to go there. I LOVE what they can do with Legos, Mad! At one of the big department stores in Amsterdam there is a life-sized "sculpture" of Magic Johnson in his basketball garb. That's a lot of Legos in that car. Unbelievable! Mad, this is tooo coool. Love the shark. 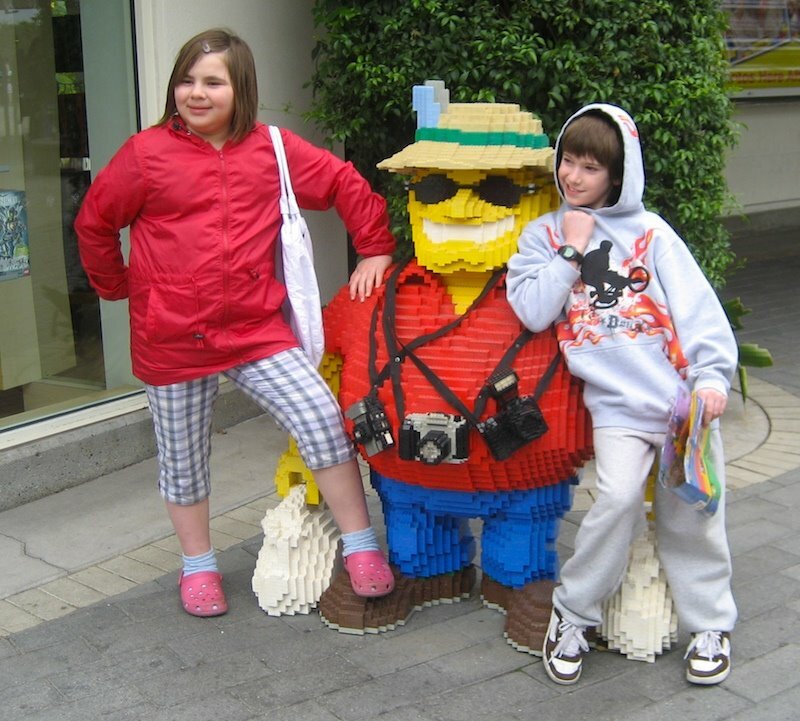 I'm just catching up on blogs, looks like you had a really fantastic time at Disney, LA and legoLand! And what fun to catch up with old friends. When I was in LA 4 yrs ago we spent a day at Universal Studios, and I really enjoyed it. I would have liked to go to Disney too, but it's a case of you can lead the Space Cadet to a theme park but you can't make him go in any more than one! I love the Lego Volvo, the best car in the world!! I haven't had time to comment on blogs for a few days, been doing the Variety Show, will blog about it ASAP. Meanwhile today, I spent all day looking after Baby Callum, what fun! He can smile and laugh now, and spends a lot of time trying to put his whole fist into his mouth. ht a lot of legos! very nice shots!